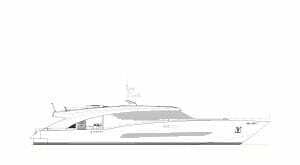 2 x 40 kW approx. 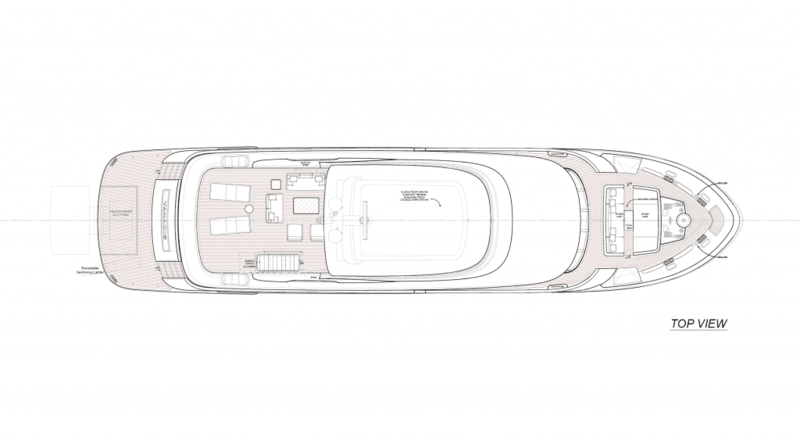 This 31 m displacement aluminium yacht is part of the ‘Fuoriserie’ line, which features unique models, exclusively designed to the Owner’s requirements. 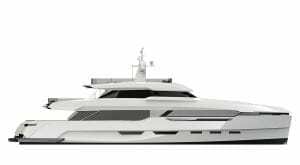 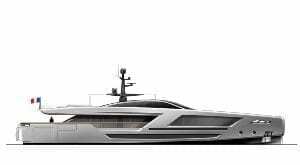 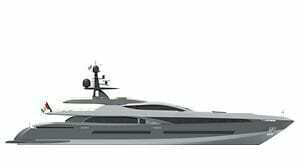 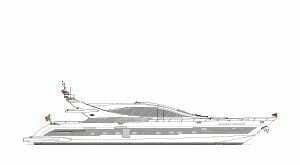 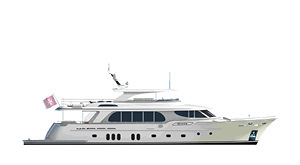 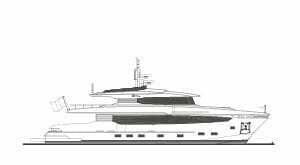 Indeed, the vessel will be fitted with 2x Schottel twin propeller units STP 150 FP controlled by a hybrid system, which will feature both traditional diesel engines and electrical engines energized by gensets or batteries, resulting in low consumption and a limited environmental impact. 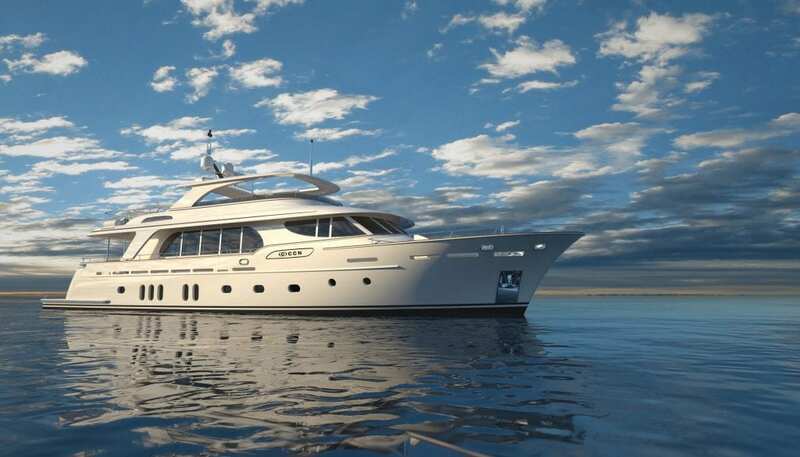 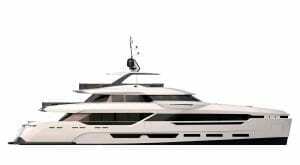 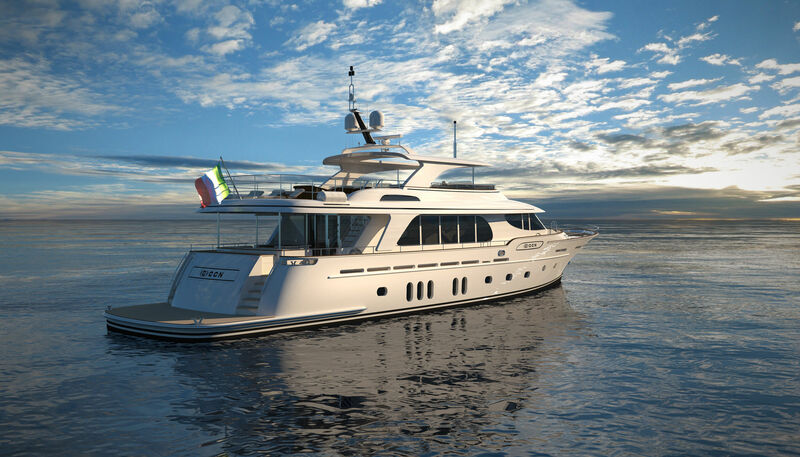 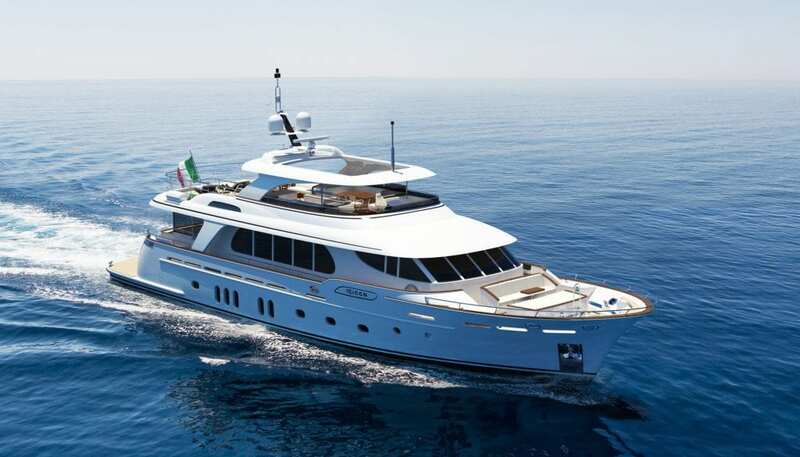 The yacht will also be equipped with Gyroscopes stabilizers in addition to fin stabilizers, so as to ensure the utmost comfort and safety both at anchor and during navigation. 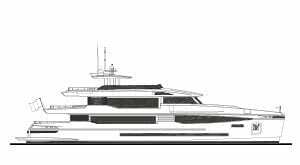 The two CAT C9.3 B engines will push the craft to a maximum speed of 12.5 knots, falling to 8 when the electrical mode is on. 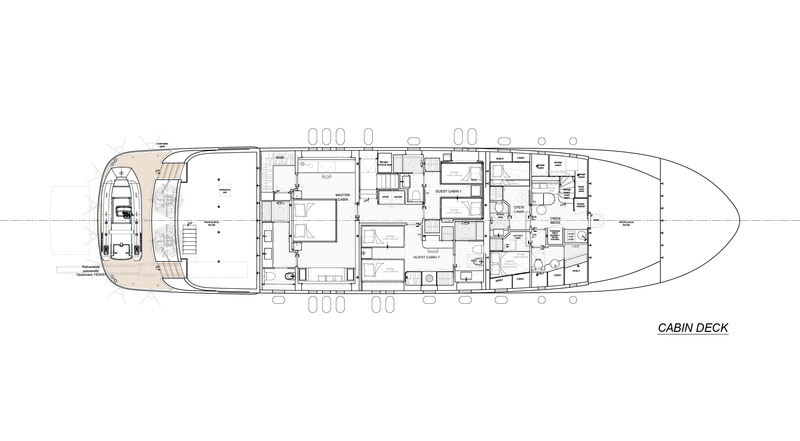 The layout includes a master cabin and 2 guest cabins on the lower deck, while the main deck hosts a large salon with a comfortable L-shaped sofa, the dining area, and an open galley, all located behind the helm station. 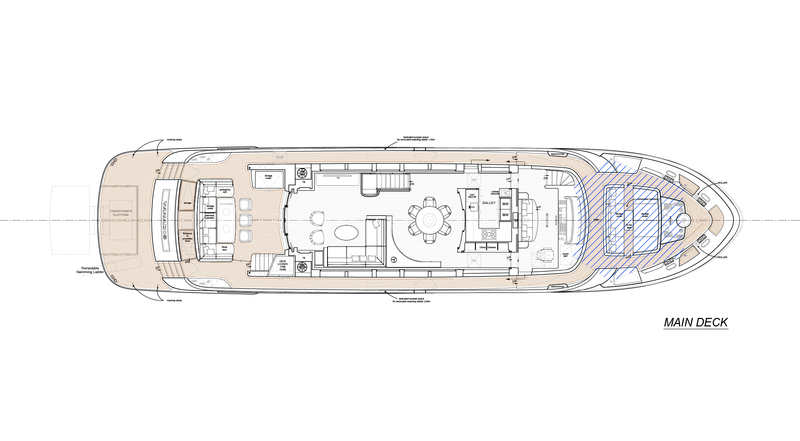 Outdoor, on the same deck, 2 pleasant lounge areas can be found forward and aft. 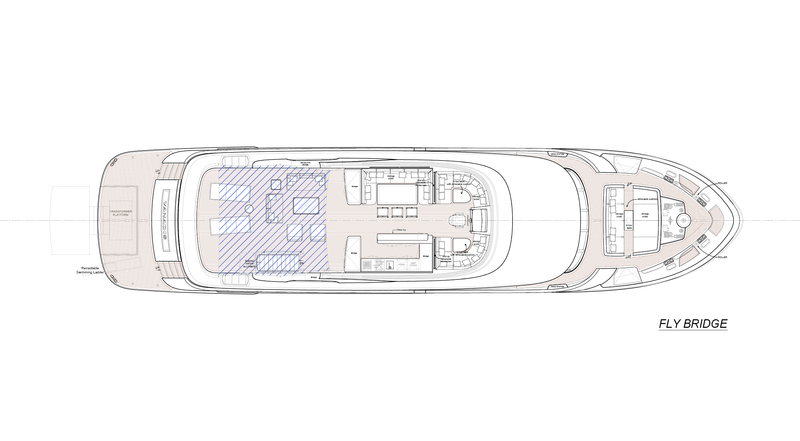 A second helm station is located on the fly bridge, which is entirely devoted to life in the open air, and is fitted with sun loungers, a bar area, and a dining area. 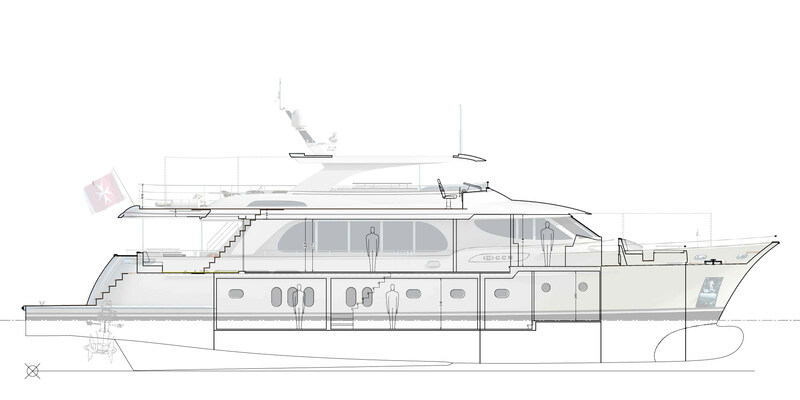 The aft swimming platform hosts a 5.5 m tender.